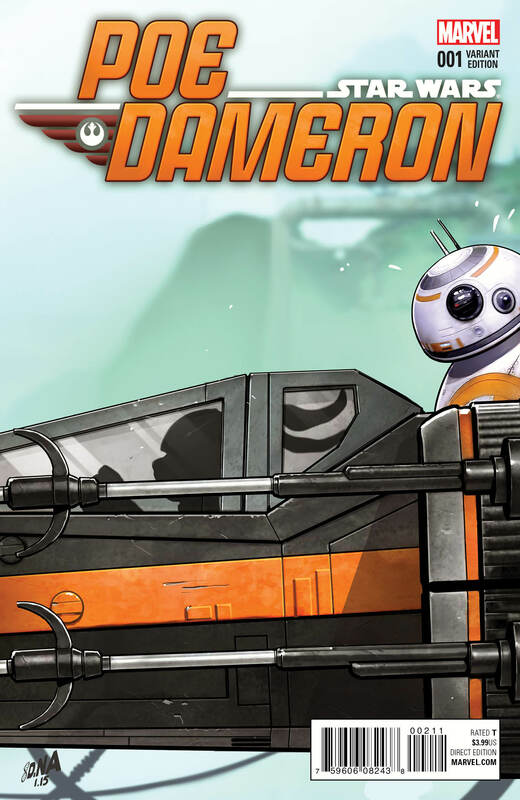 STAR WARS: POE DAMERON #1 Comes to Comic Shops With an Epic Celebration! Strap in and get ready because one of the breakout stars of the blockbuster Star Wars™: The Force Awakens is poised to star in one of the biggest comics of 2016! And your local comic shop is the place to be on April 6th to get your hands on the highly anticipated first issue of STAR WARS: POE DAMERON! 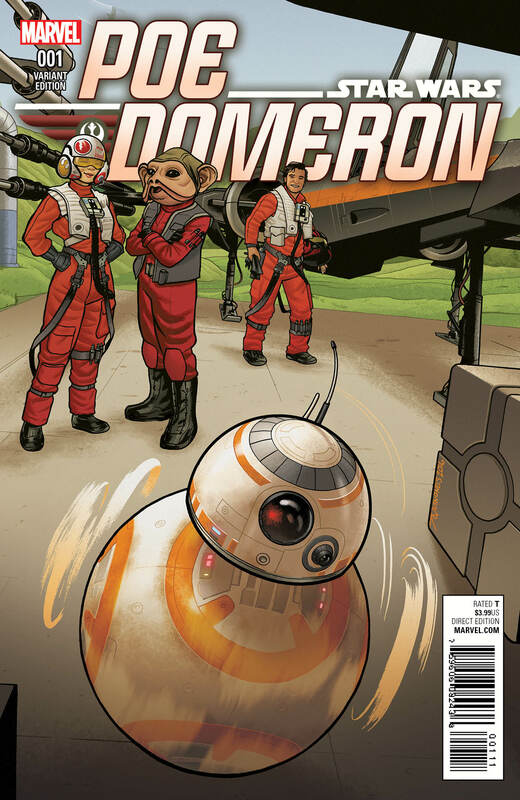 In addition to being one of the first to read the can’t miss debut, fans who attend their comic shops’ POE DAMERON #1 CELEBRATION will also be able to receive special items exclusive to these launch parties. The best pilot in the galaxy is ready to take comics by storm, and Marvel is making sure comic book stores worldwide are stocked up with enough materials to make STAR WARS: POE DAMERON #1 one of the biggest launches of the year. 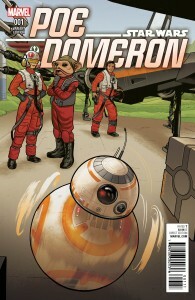 Each retailer opting into the POE DAMERON #1 CELEBRATION (FEB160756) will receive a party kit from Marvel, containing exclusive promotional materials including party exclusive variant covers, promotional buttons, cake toppers and more. Retailers, check your Marvel Mailer for additional information on how to opt-in by 03/07 and ensure your store is prepared. Set before the events of Star Wars: The Force Awakens, be there for Poe’s daring adventures as they take him to the edge of the galaxy and back. Hand-picked for the Resistance by legendary General Leia Organa, follow Poe, BB-8 and a squadron of X-Wing pilots on a top-secret mission that could hold the key to saving the galaxy. But with the First Order on their tail, will the operation be short lived? This April, learn more about the Resistance’s aerial ace when STAR WARS: POE DAMERON #1 soars into comic shops! For more information, visit Marvel.com.